Nevada National Security Site Aviation Program has been recognized by the U.S. Department of Energy as its Aviation Program of the Year for 2016 and Dave Krausnick, remote sensing laboratory chief of maintenance, has been named Aviation Professional of the Year. City National Bank announced that Paul Stowell, senior vice president and Nevada’s chief market strategist, has been appointed to Touro University Nevada’s Advisory Board. NNSS Aviation Program is responsible for helicopters and fixed wing aircraft that conduct an array of special missions, ranging from aerial surveillance for radiological threats around the world to aerial monitoring for consequence management. The aircraft are based out of Nellis Air Force Base in Las Vegas and Joint Base Andrews in Maryland. With the award, the aviation team was recognized for being the safest and the most efficient and effective in all aspects of the flight program. Krausnick was recognized as the top professional in DOE Aviation, whose operational skills and accomplishments contributed to improving and sustaining the safety, efficiency and effectiveness of the NNSS Aviation Program. Paul Stowell, senior vice president and Nevada’s chief market strategist for City National Bank, has been appointed to the 19-member advisory board of Touro University Nevada. 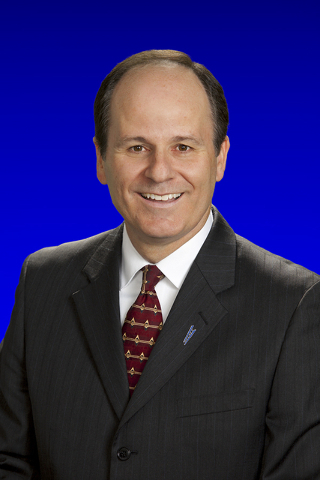 Stowell joins Touro’s advisory board with more than 30 years of experience in the banking industry in Southern Nevada. The advisory board provides a means for increased communication between the university and local leaders of the community with the intent to improve the learning environment for students and to assist the university in achieving its vision of becoming a local, regional and national leader in higher education. As a member, Stowell will help promote the mission and vision of the university and its needs. He will also provide both academic and industry perspective to all activities of the university, as well as help identify issues important to the future of Touro.